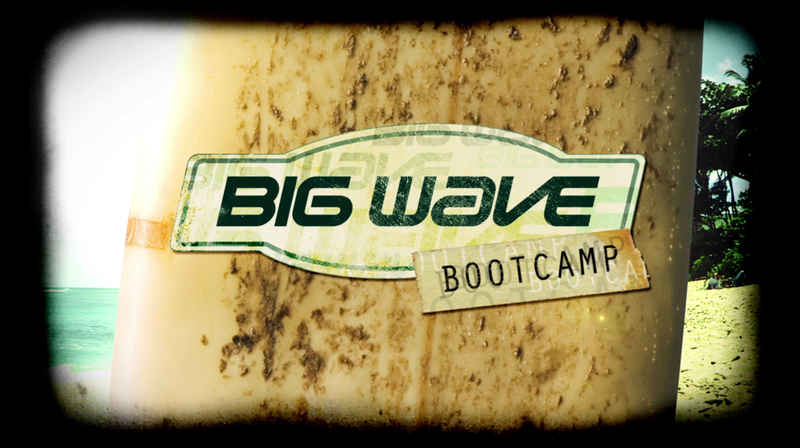 Big Wave Bootcamp is a TV show where a group of teenagers battle it out in the big surf with coaching from Ken Bradshaw, one of the original Big wave surfers. The brief was to design and produce a title sequence that outlined the premise of the show as well as introducing the cast. Big wave surfing began in the 1940's and by the 1960's it was becoming an increasingly popular sport. The concept for the title sequence was using old film and photography effects reminiscent of that era, as well as referencing the design work of David Carson, an ex pro surfer that became a graphic designer.